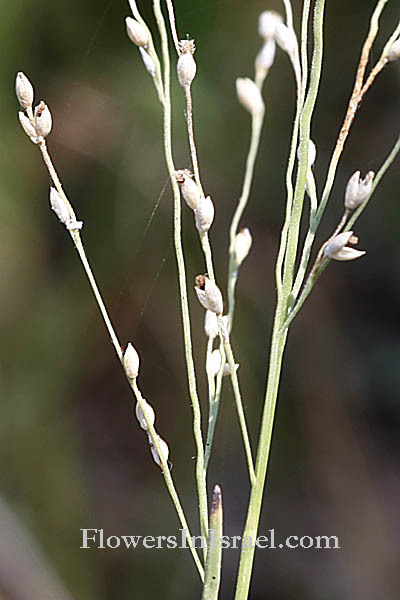 Hebrew: דוחן זוחל, Arabic: الثمام الزاحف, Egypt: زمار "Zommar"
put them in one vessel and make them into bread for yourself..."
Scientific name: Panicum repens L.
Synonym name: Panicum airoides R.Br., Panicum littorale C.Mohr ex Vasey, Panicum gouinii Fourn. 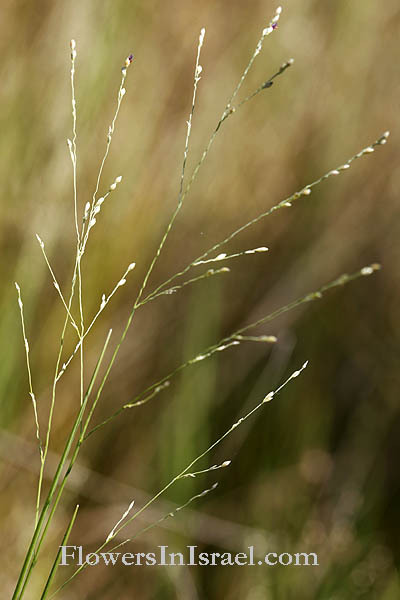 Panicum, panus (Latin), "millet", annual and perennial grasses that have 1- to 2-flowered spikelets arranged in a panicle (Latin panicula, diminutive of panus). repens, repo, "to crawl, creep"; meaning creeping. airoides, like the genus Aira. littorale, of the sea shore; littoral. gouinii, in honor of Dr. François-Marie-Gabriel Goüin (1818-1873), a surgeon in the French navy and an amateur plant collector, who collected in Mexico in 1864-1867. The standard author abbreviation R.Br is used to indicate Robert Brown (1773 – 1858), a Scottish botanist. The standard author abbreviation C.Mohr is used to indicate Charles Theodore Mohr (1824 – 1901), a pharmacist and botanist of German descent who lived and worked in the Americas. The standard author abbreviation Vasey is used to indicate George Vasey (1822 – 1893), an English-born American botanist. The standard author abbreviation Fourn. is used to indicate Eugene Pierre Nicolas Fournier (1834 - 1884), a French botanist. 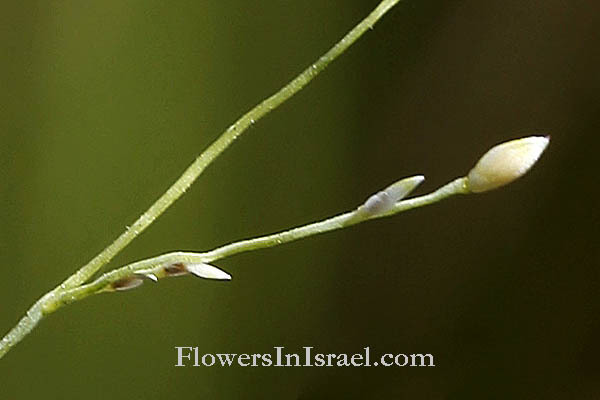 The hebrew word used for "millet" in Ezekiel 4:9 is "dochan" (דוחן). H.B.Tristram, The Natural History of the Bible: "Millet, heb. dôchan, is only once mentioned among ingredients which Ezekiel was commanded to take and mingle for his bread: "Take thou also unto thee wheat, and barley, and beans, and lentils, and millet, and fitches, and put them in one vessel, and make thee bread thereof" (Ez.iv.9), where it is evident that every grain is enumerated, which was ordinarily used for bread".